As always, I relish the opportunity to translate a complex brief into a strategically savvy solution. 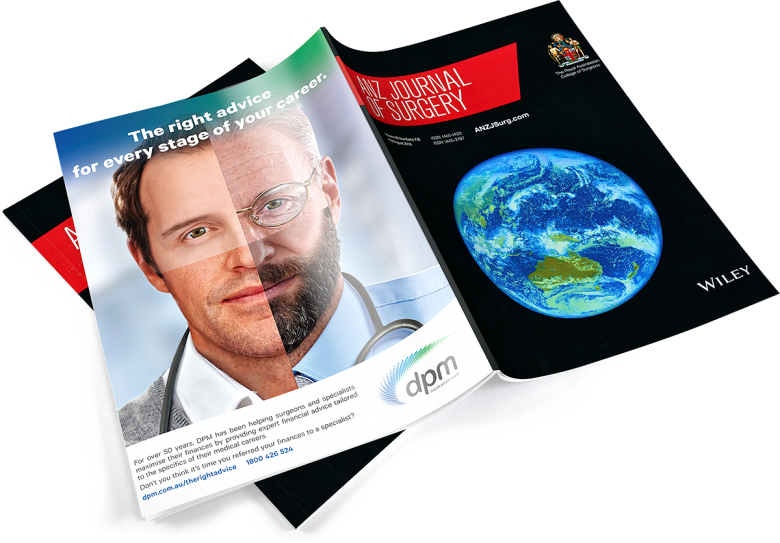 In this case, DPM Financial Services needed a powerful magazine ad to communicate the very specific offering that they bring to the medical fraternity. 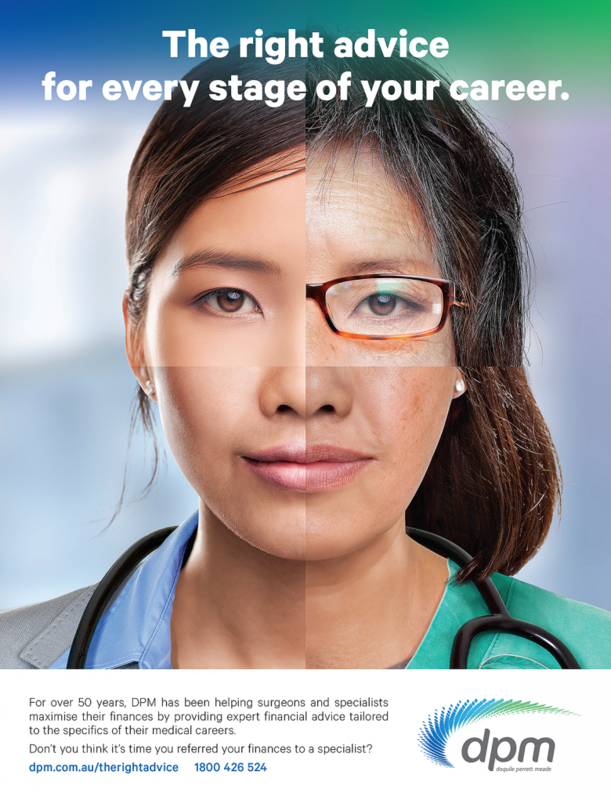 Unlike the many financial service and tax advisory groups that provide general advice, the career path of doctors, specialists and surgeons is very particular, as are the challenges associated with opening their own clinics. DPM needed to get onto the radar of this core audience. 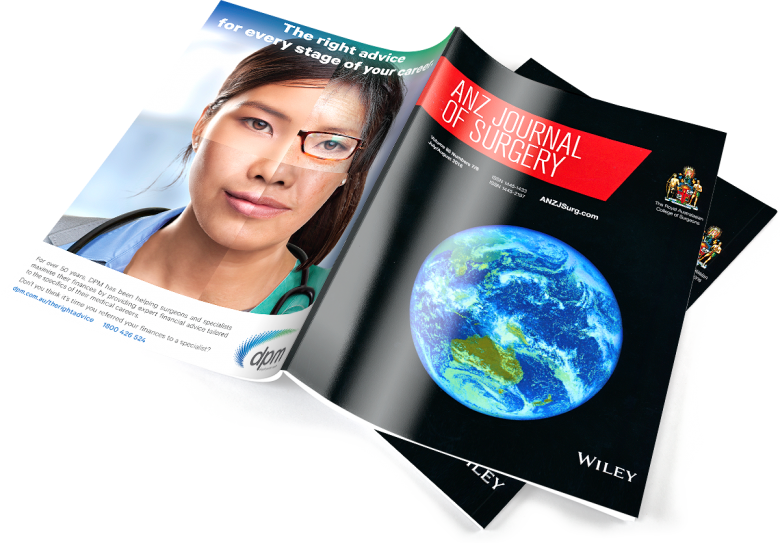 As well as appearing in targeted locations online, the ad appeared on the back cover of everyone’s favourite magazine, “ANZ Journal of Surgery”, which consequently drove significant levels of enquiries. From a technical perspective, this was also a tour de force of my finished art skills as the hero image was built entirely from stock shots. 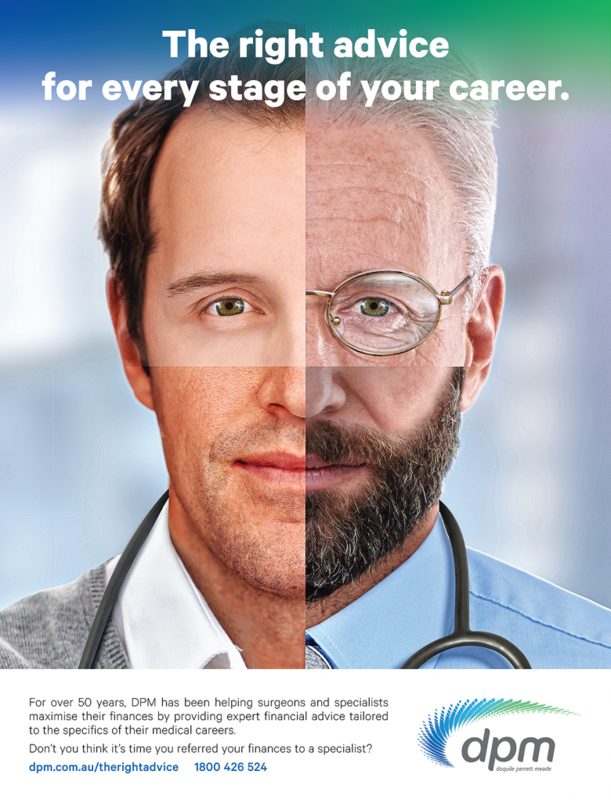 As you can imagine it was quite a challenge to represent the one person at very different stages of life. While there are apps that can do this sort of thing, they don’t do it to quite this exacting level of hi-res detail.